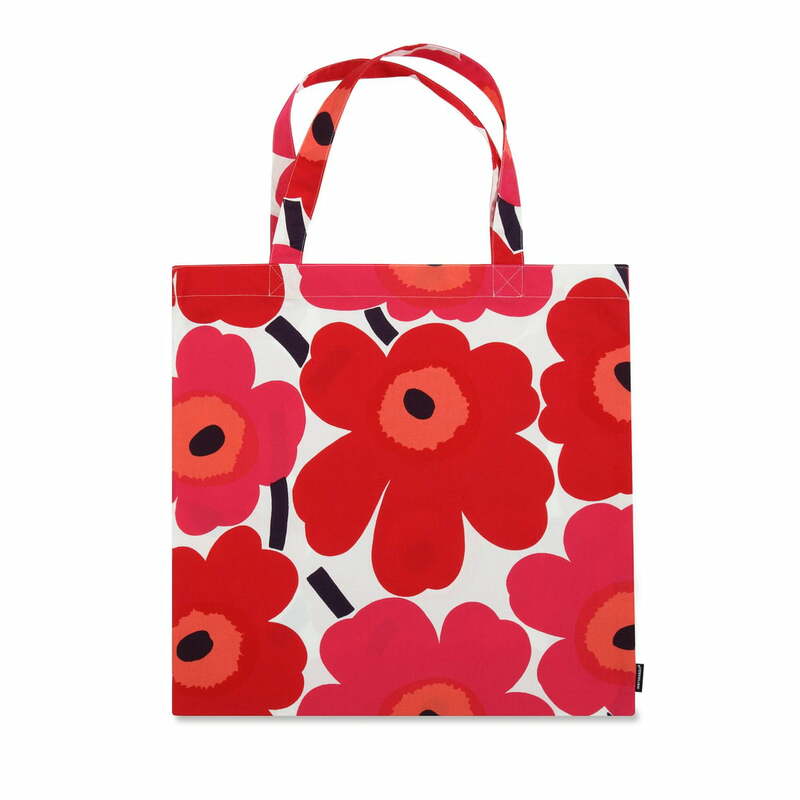 The Pieni Unikko shopping bag with the abstract poppy flower pattern is the ideal companion for small and large errands. The floral print is the world-famous floral design by Maija Isola from 1964, displayed today on numerous home accessories. The 44 x 43cm-large bag is especially convenient because it can be folded together after shopping and save space waiting for the next usage. Made from 100% cotton, the foldable shopping bag is rugged enough to meet everyday requirements and at the same time so lovingly designed in such a way that we like to carry it everywhere by our side. Isolated product image of the Marimekko - Pieni Unikko Cotton Bag, red / white: The soft cotton bag featuring the Unikko flower pattern by Maija Isola is here show in the colour scheme red and white.